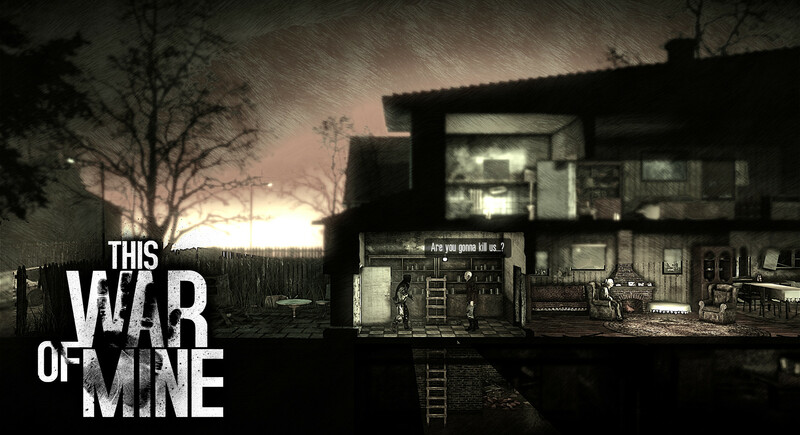 This War of Mine is a 2D side-scrolling survival and resource management game where the player takes control of a group of survivors in a war torn city. The game has received an overwhelmingly positive rating on Steam from its player community, is available for a host of different platforms and versions are currently under development for the major gaming consoles. This War of Mine approaches the setting of war so often covered in video games from a completely different perspective than most, that of the civilians trying to survive in the war ravaged environment. The player takes control of a small band of randomly generated survivors possessing different attributes and skill sets. By day the city is full of snipers and peril that make it impossible to leave the refuge, so this time is spent working on improving your hideout, crafting supplies and trading. When night falls individuals or teams can be sent out to explore unique locations that are randomly generated for each play through. These locations can yield a host of experiences such as finding supplies or materials for crafting and encountering other survivors who may or may not be hostile. The player is presented with hard decisions in regards to who to help and how to manage resources to the best benefit to the group as a whole. The graphical design is dark and grim and when combined with the excellent sound design does an outstanding job of establishing an atmosphere that is appropriately matched to the theme. This game is a unique gem that challenges the player to consider the real consequences of human conflict and ultimately contains deep messages that are not preached but are experienced. This is high form art with a purpose. 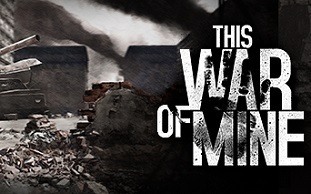 To add to the absolute magnificence of this title the developers offer an expansion as an in-app purchase on mobile platforms or DLC on Steam called "This War of Mine - War Child Charity DLC". This expansion can be purchased for $0.99, $9.99, or $19.99 with 100% of the proceeds going straight to War Child International Charities. The dlc contains unique street art pieces made by artists from all over the world including: M-City, Gabriel "Specter" Reese, SeaCreative, Emir Cerimovic, Fauxreel and Mateusz Waluś. These art pieces appear in locations throughout the game world once the DLC has been purchased. An amazing game made by amazing people.